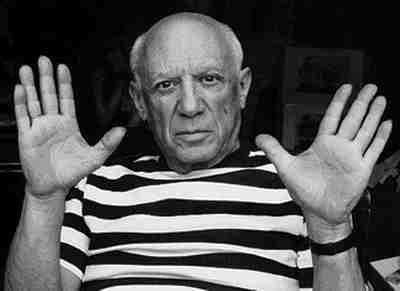 Pablo Picasso, who pioneered the Cubist art movement, is one of the most revolutionary artists of the 20th century. I was lucky enough to find detailed casts of his hands as well as good photos. Pablo Picasso has typical genius hands, whose creative energies often seem to be supported by a large mount of Venus, a solid thumb – his almost reaches the top of the lower index phalange – and a long head line. Interestingly, his head line on the left hand is much shorter than on the right, meaning that deep down, he needs to surround himself with money and visible signs of security. It could explain why he never was a starving artist! However, on his right hand, the head line is long and curving down. The length gives him a pioneer mind – such as representing life like never before – and the curve gives him an artistic and intuitive temperament. On both hands, his rounded life line is encircling the ball of his thumb without any break, implying a very good health that allowed him to lead a vigorous life well into his nineties. On both hands again, the mounts of Luna are very prominent, denoting abundant imagination. This is where his head line found inspiration for avant-garde artworks such as Les demoiselles d’Avignon and Guernica. 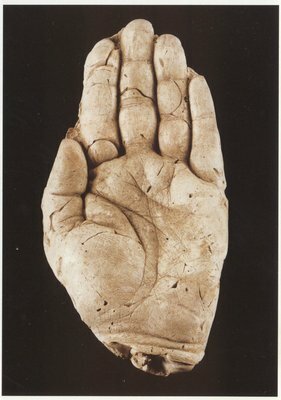 The lowermost part of his hands – formed by the mounts of Venus and Luna – is very wide and provides him with a very sensual nature, which has often been expressed by his many relationships, affairs and infidelities throughout his life. His spatulate fingers show his enthusiasm and dexterity. Finally, on his right hand, the crescent line going from Luna to the little finger is an intuition line which confirms one more time his very intuitive and unconventional nature. 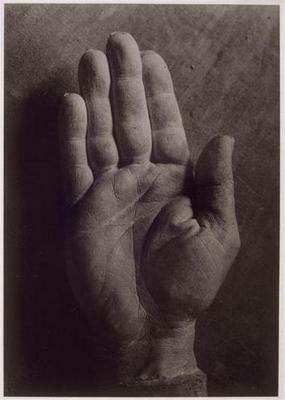 With so many strong features, Pablo Picasso’s hands really express all the talent of what is probably the greatest artist of the 20th century.